Sitting on an isolated rocky plateau close to the Turkish‐Armenian border, Ererouyk was once one of the largest and most important centres of worship in the region. The triple aisled basilica, built in the 6th century, is among the oldest christian monuments in Armenia and is the most impressive construction of the complex, which featured several religious buildings and village houses. During the Middle Ages, Ererouyk was strongly linked with the Armenian capital city of Ani, located only a few kilometres away. The basilica roof collapsed before the 18th century and the building has been heavily damaged by various earthquakes, including one in 1988. Despite some restoration works undertaken in the last two decades, the basilica, which is on the UNESCO World Heritage tentative list, remains highly endangered. The archaeological area that surrounds the basilica, comprising the remains of funerary monuments, a wide boundary wall, a dam, a mausoleum, a few rupestrian rooms and several early Christian sculptured fragments, is at risk of being lost before it has been comprehensively studied and documented. The village of Ani Pemza is situated a few hundred metres from Ererouyk. Designed probably by the Armenian architect Alexander Tamanyan and built in 1926 to accommodate the workers of the nearby industrial complex, it includes some 10 apartment blocks, a school, and other public buildings. Since 1994, with the closing of the mine, the village has been gradually abandoned and the condition of the houses has deteriorated. The Republic of Armenia, through the Ministry of Culture, is the owner of the Archaeological Site of Ererouyk, nominated for ‘The 7 Most Endangered’ programme 2016 by the Centre of Studies and Documentation of Armenian Culture in Italy (CSDCA). Among the partners of the campaign are organisations and institutions from Armenia (Ministry of Culture and Shirak Regional Museum), Italy (Politecnico di Milano), France (Laboratoire d’Archéologie Médiévale et Moderne en Méditerranée) and the United States (Global Heritage Fund). The nominator proposes a multidisciplinary project in order to study and rehabilitate the Basilica and Archaeological Site of Ererouyk as well as to provide an easier access to the ancient Armenian capital of Ani. This would be a great step towards the establishment of a transnational archaeological park along the Akhurian River, which could play a significant role in the reconciliation process between Armenia and Turkey. 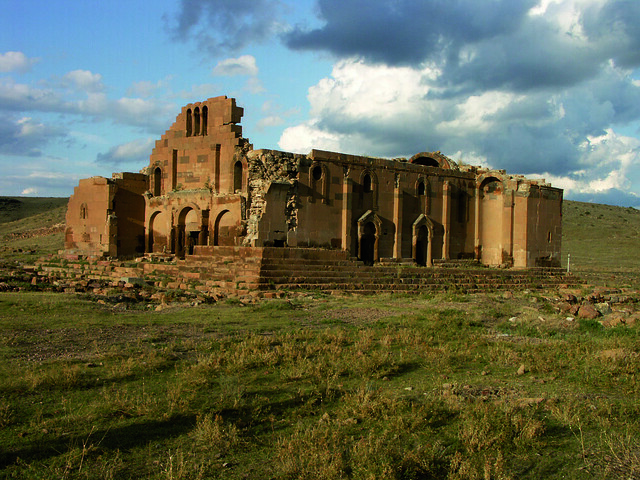 The restored village of Ani Pemza could serve as a cultural tourism centre, thus contributing to the socioeconomic revitalisation of the area.